DANA POINT — The Dana Point Boaters Association (DPBA) Boater Liaison Program — a new initiative that provides Dana Point Harbor boaters a forum to ask questions of public officials and agencies, make suggestions and share their views — has garnered much response from the harbor community, and the association is currently preparing a report on multiple topics submitted by the public. 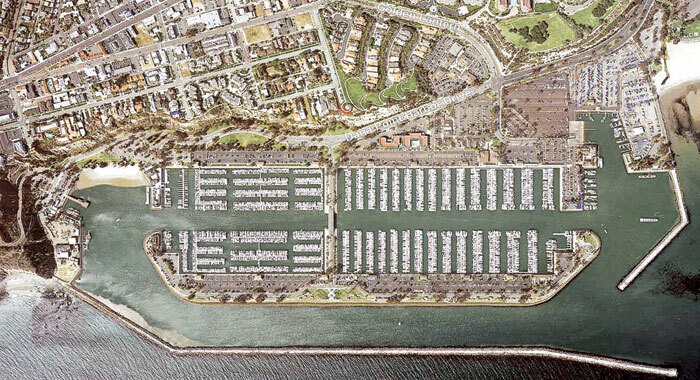 That report, with combined responses from DPBA and OC Dana Point Harbor, will be released later this month. On those one to two issues in which there was no movement, DPBA asked OC Dana Point Harbor officials to fully articulate their position, so that boaters could better understand it. “In coordination with harbor management, we are now preparing a report with our combined responses,” Lenthall said. Although the group is not yet ready to share details of the report, boaters can expect news on the Harbor Revitalization Plan, Harbor Department budget management, parking issues, boat slip waiting list management, Orange County Sheriff’s Harbor Patrol rules enforcement, and Embarcadero dry boat storage policies. Gross also pointed out that “contrary to popular misconception, there is one department that all harbor users can reach out to for all their questions,” which is OC Dana Point Harbor. The department can be reached by calling (949) 923-2236, or boaters can use the county’s online reporting tool at ocgov.com/howdoi/report/. Details of the DPBA Boater Liaison Program report will be provided to boaters and on the DPBA website: danapointboaters.org. The Boater Liaison Program was launched with the intent of improving boater satisfaction and advocacy in the harbor, according to DPBA. The program is designed to give boaters a forum, where they can get their opinions and concerns heard by the various entities that manage and oversee operations of the harbor. Boaters submit a question, suggestion or issue of concern via the association’s website, and then DBPA board members will take those concerns and ideas to the appropriate agencies for their consideration and response. The board will then communicate that response to the submitter. “We have been very pleased by the quality and thoughtfulness of the issues raised by our boaters (and other harbor users) through our Boater Liaison Program,” Lenthall said. “They have clearly demonstrated their interest and engagement in their harbor.